I like to dream and build plans. They make us move forward. Without plans our life becomes a routine. 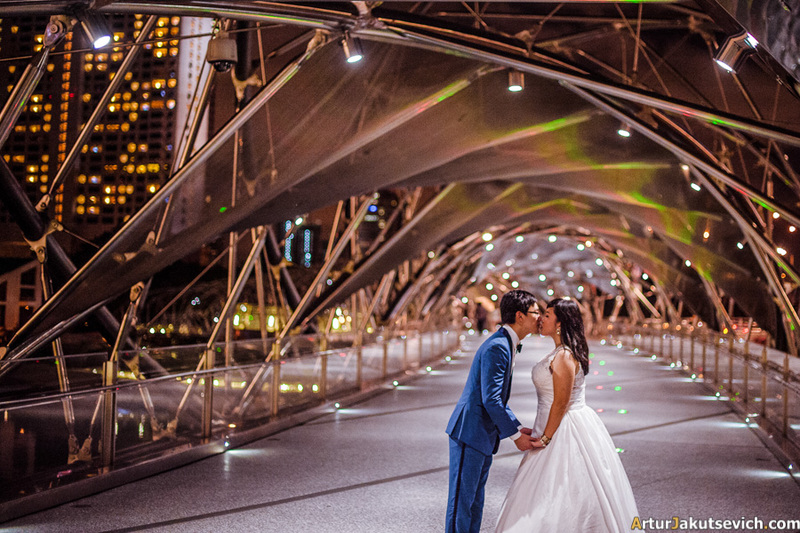 Sometimes my dreams come too far, but even though I could have never thought of being a photographer at a real marriage in Singapore, with local couple as bride and groom. And that was completely new experience for me. 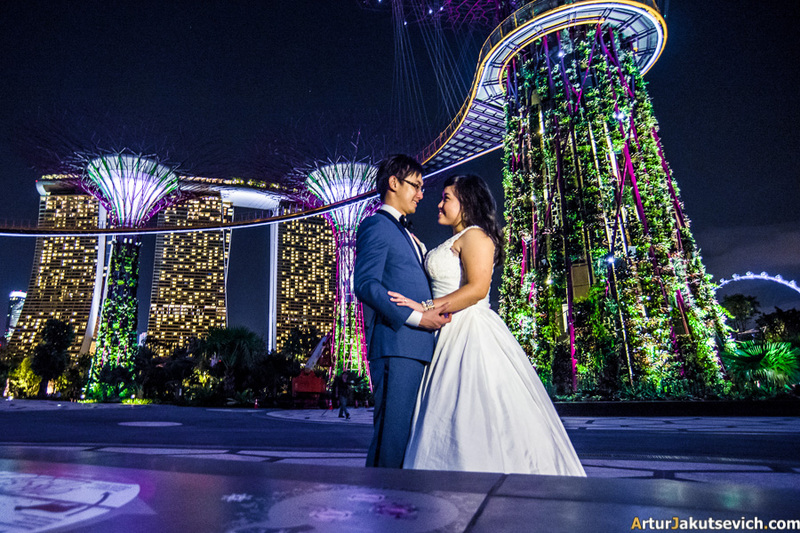 Today I will share one part of my first trip to Singapore and first wedding photo shooting at the Gardens by the Bay. 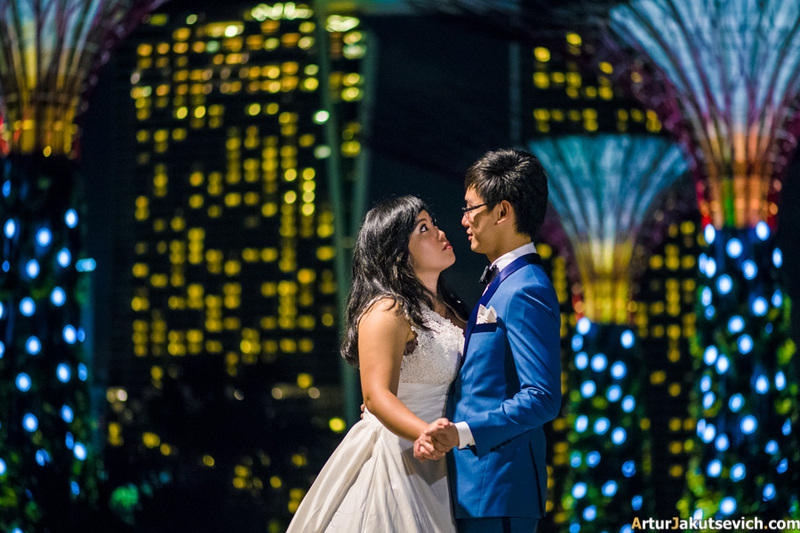 I do not think that one can meet any sad people in Singapore. Life there is easy, and people often laugh. Grief can not take root in this country. Not that the locals try not to be sad — they are not acquainted with such an emotion. Ryunosuke Murakami, “Hotel Raffles”. First time when I met Alvin and Tong Tong was in Paris. Together we spent incredible spring days make first steps to their big day. Some months before the wedding in Singapore, they went for a pre wedding or better to say engagement trip around Europe. Searching for a photographer, they found the page you are now reading and completely fell in love with my works. That should have been marked as a quote as well. I’ve told you their engagement story already. 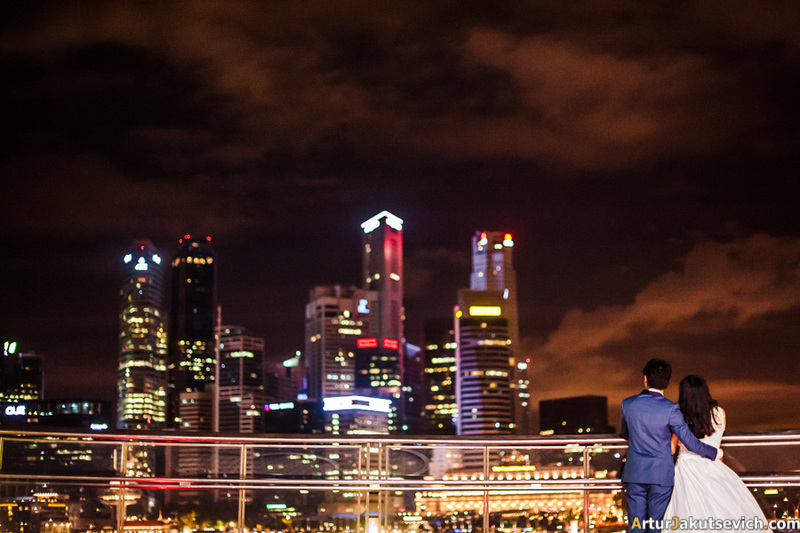 I should say, that after ruins of Rome and its ancient architecture I was completely smashed by Singapore as a city. It was like the flight brought me not to the opposite side of continent, but to another Galaxy. 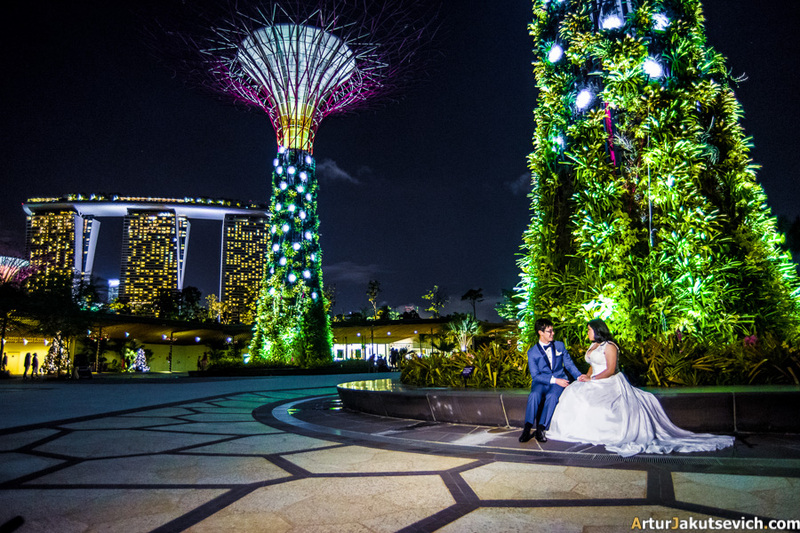 Just behind the gardens, one can enjoy an amazing view over the most popular hotel in Singapore and I think one of the most well-know in the world: Marina Bay Sands Hotel. 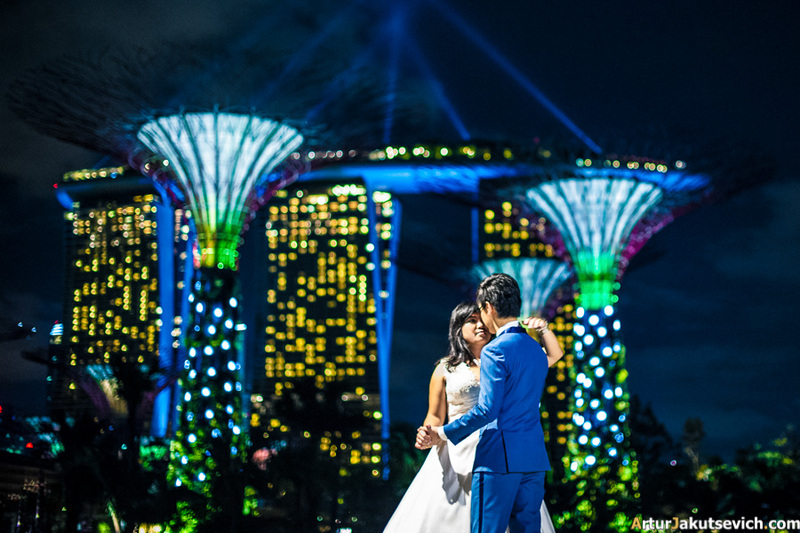 All the things I’ve seen and experienced in Singapore even after some time passed seem to me like a fairy tale about Avatar. I don’t believe that I saw and pictured everything by myself. 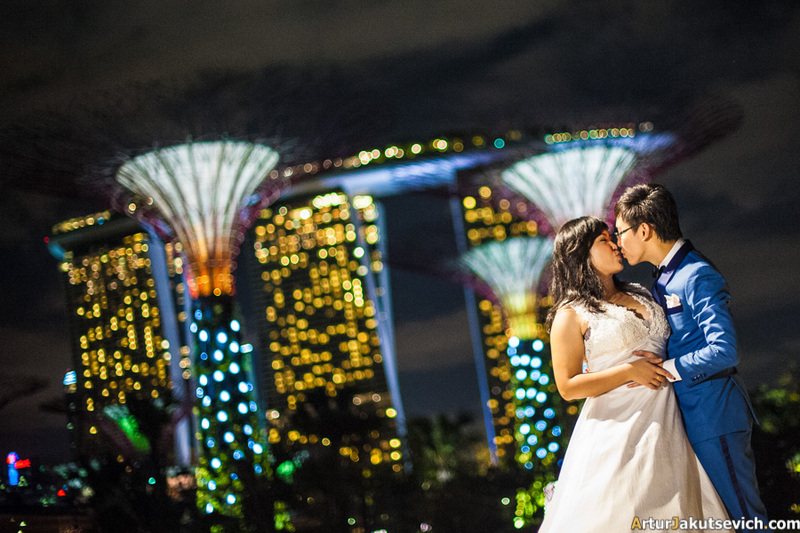 If you would like to make your lady love you even more, just follow the link and book a room in Marina Bay Sands hotel. That would be the best surprise in her life. Just the right place to ask “Will you?” I assure you that you will get 100% positive and immediate answer. At day time these huge constructions look like decorations for Ray Bradbury’s stories. One of the most interesting things about the Gardens is that all these trees and bushes got charged during the day by the Sun and use solar energy to light in the evening and at night. 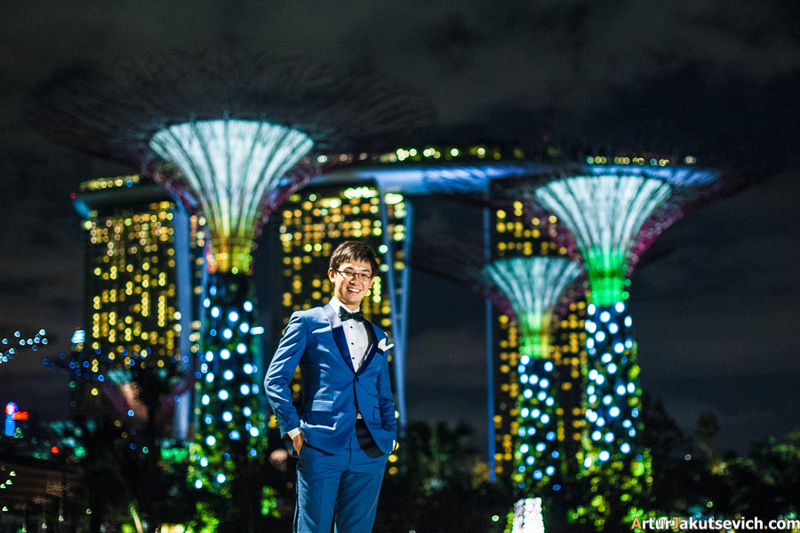 These lights make crazy even experienced travellers. People start rushing around with cameras trying to capture every single piece of space. 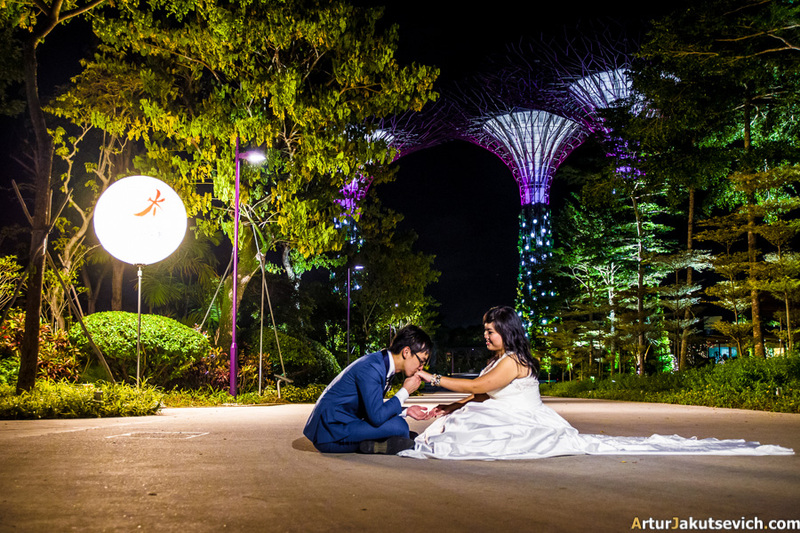 This is how modern romantic place looks like. Behind these lovely pictures you can see in the article, huge and hard job is hidden. As it occurred, Gardens are very popular not only with tourists, but with locals as well. 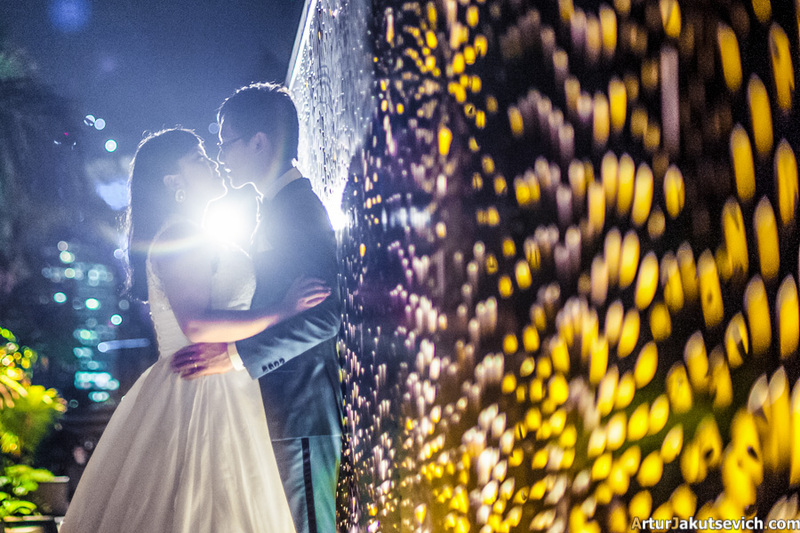 Therefore it was pretty difficult to make wedding photos without any passers-by in the frame. 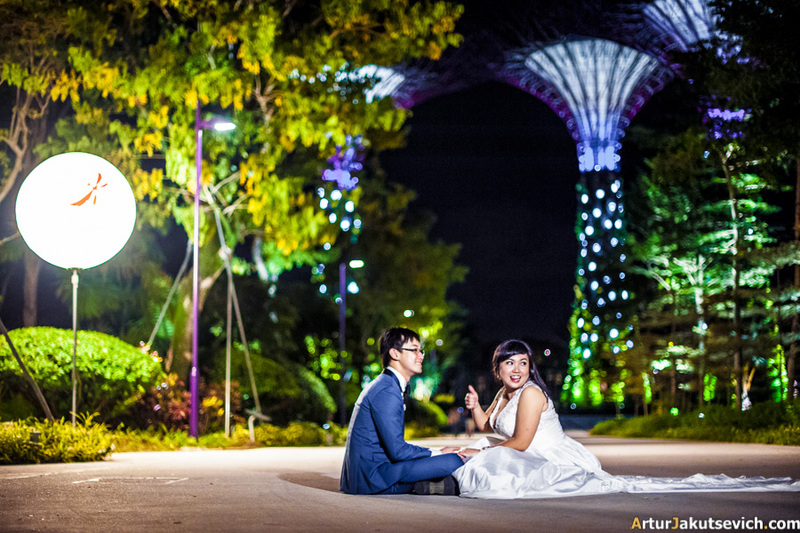 That was a wedding photo shooting in Gardens by the Bay in Singapore for Alvin and Tong Tong. 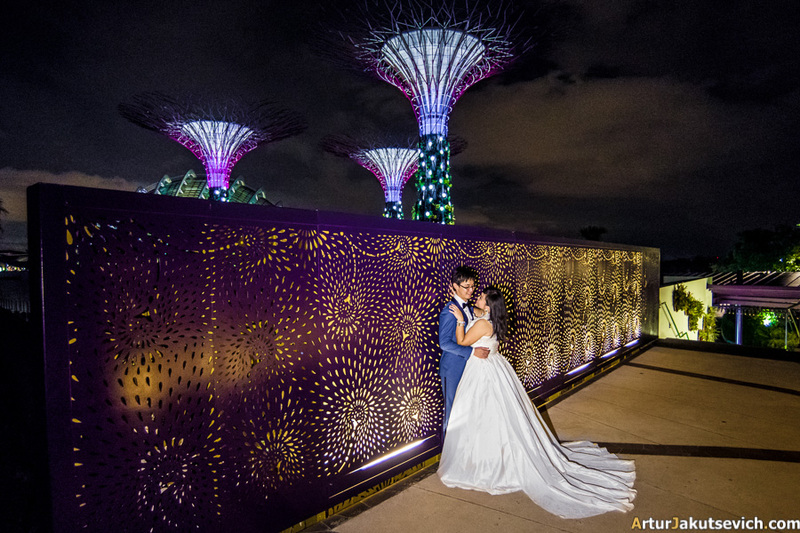 Get inspired and make you wedding look the way you would like to!